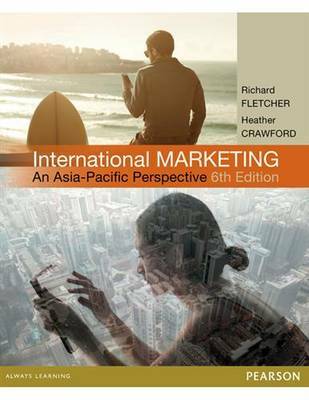 International Marketing, 6E is written from a wholly Australasian perspective and covers issues unique to local marketers and managers looking towards the Asia-Pacific region, the European Union, and beyond. It presents a wide range of contemporary issues faced by subsidiaries of multinational enterprises (MNEs) as well as small and medium scale enterprises (SMEs), mainly exporters, which make up the vast bulk of firms involved in international business in the Australasian region. International Marketing, 6E clearly demonstrates the links between the different stages of international marketing, connecting analysis with planning, planning with strategy and strategy with implementation. Key concepts are brought to life with comprehensively updated statistics, recent illustrations, and a variety of real-world examples and case studies.